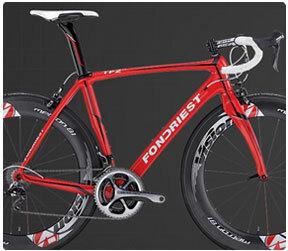 Careful and meticulous about the technical aspect of bicycles, Fondriest Bikes focus on the seated position -in search of the “perfect” geometry - is a legend. 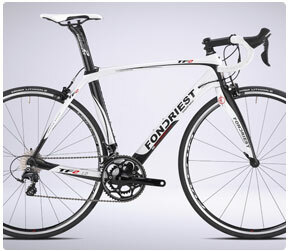 Fondriest carbon tubes are manufactured and packed in Italy. You will be left astounded by the properties of the Fondriest TFZERO frame that has an extraordinary stiffness equal to 140 N/mm and weighs only 798 grams. The carbon tubes are manufactured and packed in Italy. The particular feature of these TFZERO rear doropouts are the two interchangeable parts, both on the right and on the left made from treated aluminium alloy, which when securely fixed to the dropouts simultaneously support the wheel and the gear unit. In practice the quick release wheel never touches the part of the monolithic carbon fibre dropout. Aero drag is 80-90% of the overall resistance affecting a rider. Only on climbs steeper than 5% does weight become more important than drag for the average rider.